“We wanted to send you a short note regarding this past summer program. (Our daughter’s) experience at HARID was the best she’s ever had at a summer intensive. The atmosphere at The HARID Conservatory was very caring; she felt like she was with family. (Our daughter) received numerous individual corrections which she feels improved her technique in such a short time. You should be proud of your entire staff, from the faculty to the Russo Hall supervisors. Most important, after hearing all (our daughter’s) stories, we feel confident and comfortable sending her to HARID for the academic year. HARID’s commitment to gifted young dancers is the same during both the summer and the academic year: to provide comprehensive ballet training, high-quality instruction, and a secure, carefully supervised living environment. This, combined with the opportunity to enjoy many of South Florida’s recreational activities and special attractions, makes the school’s Summer Intensive a unique and memorable experience. The Summer Intensive is open to students in academic grades 8–11 at the time of the winter auditions, and offers a thorough introduction to HARID’s dance curriculum and programs. In addition, it serves as an extended audition for students seeking admission to HARID for the academic year. During the summer, guest-teacher engagements are limited so students can take advantage of the opportunity to study with HARID’s full-time and adjunct faculty. The rigorous class schedule is similar to that offered during the academic year. Summer Intensive students find their free time filled with opportunities to experience and enjoy the many activities, special events, and historic sites South Florida has to offer. Supervised field trips are planned to various places of interest. Recreational activities include visits to the beach, swimming, and window shopping at renowned Mizner Park. 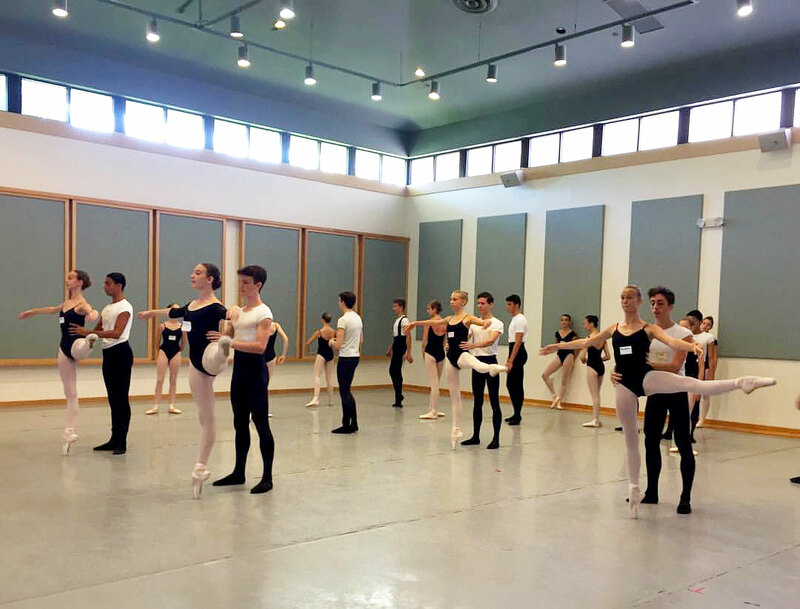 The Summer Intensive curriculum includes three levels, including separate ballet classes for advanced male and female students. Placement classes are conducted on the first day, and each student is placed in the level that will most effectively challenge his or her abilities. An informal demonstration is presented on the final day of the program. Fees are charged for tuition, and room and board. Merit scholarships and financial aid are available to qualified students. All Summer Intensive students live in HARID’s on-campus residence and are governed by the same rules and expectations established for students enrolled during the academic year. Attendance at the Summer Intensive is required for students seeking admission to HARID for the academic year.